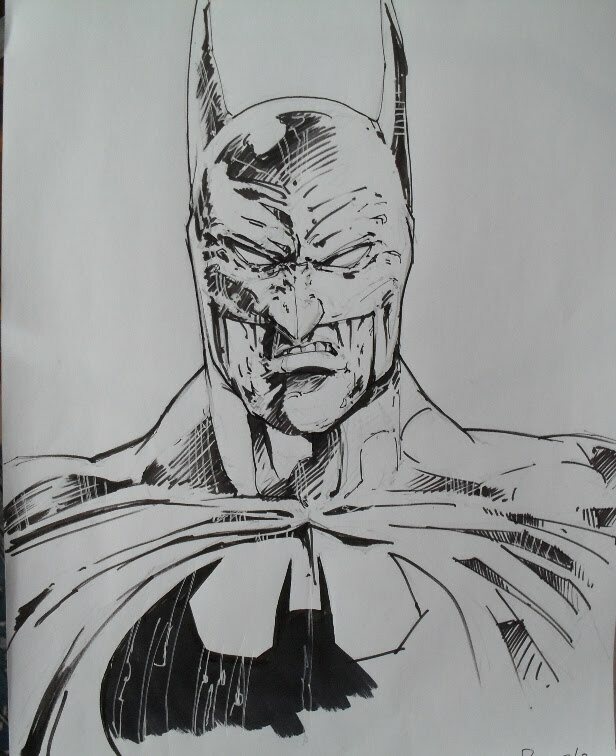 Was at the Maidstone Demoncon convention and already had a good natter with top bloke and upcoming star artist Conor Boyle. I'd already had a sketch off him too so left him alone. But then i was having another wander before leaving and he was by himself so stopped to ask the day had been. 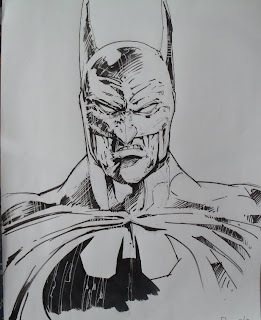 He was doing this Batman sketch while talking and aksed him who it was for, thinking the guy should really be there to see it coming to life. Bit surprised to learn it was actually a "doodle" as Conor didn't have any sketching to do. More surprised when he said i could have it. Cheers Conor!